Woking survived one heavyweight Martian attack; now it's facing another round of extra-terrestrial tales..! 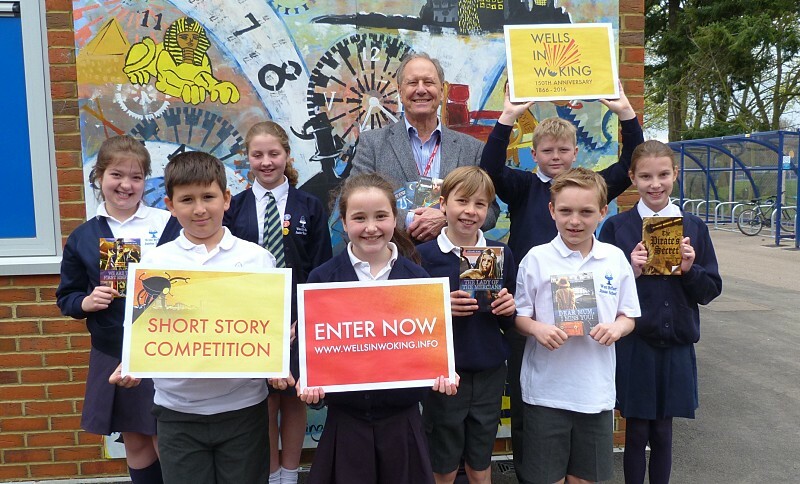 The Wells in Woking short story competition invited wordsmiths to pen their own masterpiece and challenge Wells for Woking’s science fiction crown. The competition's five categories - listed below - attracted over 80 entries, and was judged by Stewart Ross, author of more than 300 published titles, including prize-wining books for younger readers, novels, plays, librettos, a musical, and many widely-acclaimed works on history and sport. All the winners were invited to a special ceremony in September 2016, when the new H. G. Wells Sculpture will be unveiled. You can read an excerpt from each of the winning writers by clicking on their story title to the right, or choosing from the list of categories on this page. You can also hear from the winner in the adult category, LIz Firth, during a short video clip.